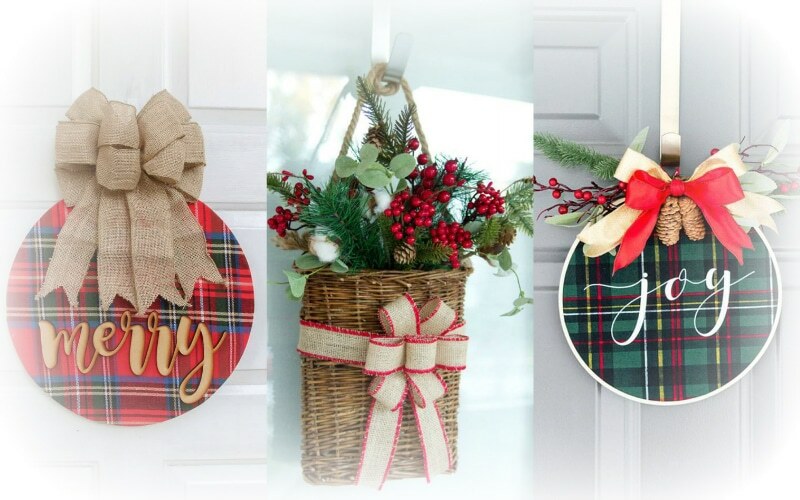 A selection of simple & rustic DIY Christmas Wreaths for the most wonderful time of year. It's the time of year where you walk through the stores and the aisles are decked with Christmas decor for your home. But if you are like me, there is something special about putting your own special touches on it. I love simple, and I love rustic. And today, I am sharing the love because I have 7 Simple + Rustic Christmas Wreaths you can DIY yourself in no time! In case you are wondering, what exactly is rustic decor? Rustic decor has a natural and rugged feel to it. It is filled with texture and warm tones and character. Lots of character! How can you not love texture, warm tones, and character? These 7 wreaths give you all of that! You click on any one of the photos and find the tutorial for them. 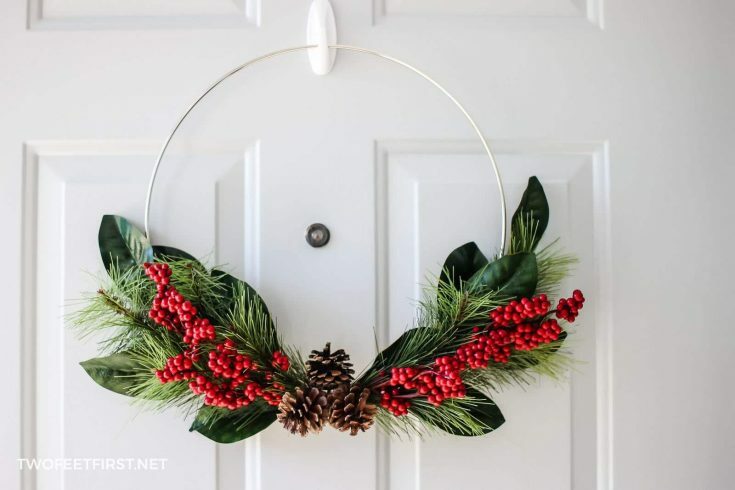 7 Simple & Rustic DIY Christmas Wreaths You Can Make Today! A selection of simple & rustic DIY Christmas Wreaths with texture, warm tones, and character, for the most wonderful time of year. I love that this wreath is not your traditional circular wreath. 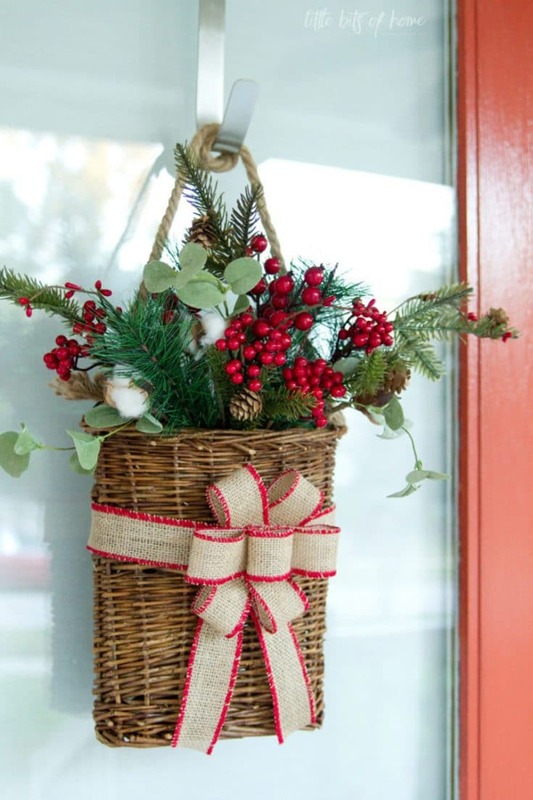 This hanging basket wreath has all the components that make up that rustic feel in an oh so non-traditional way. 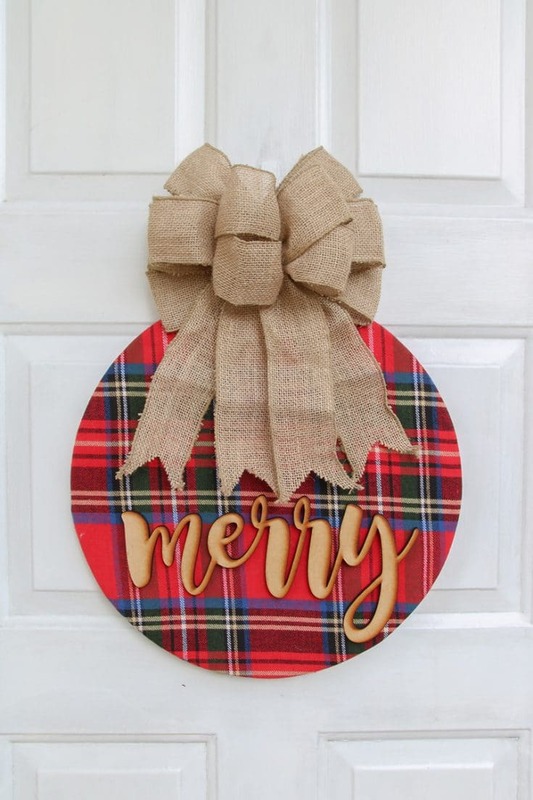 My favorite part about this wreath is the plaid. And that font is soooo adorable. This is another one that knocks the non-traditional vibe out the park as well. Love it! 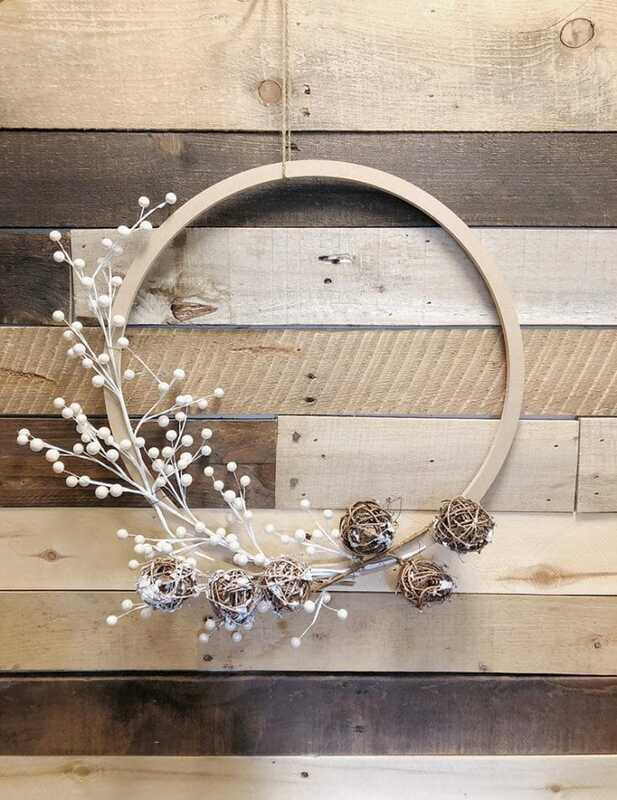 I just love the simplicity of this hoop wreath. For all my minimalists out there, this one is for you! It is rustic, but simple and beautiful all at the same time! 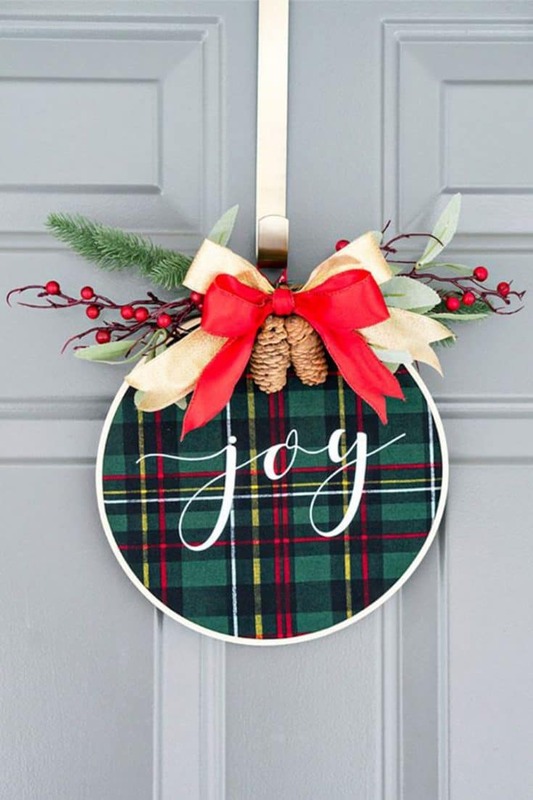 I love the traditional Christmas vibe with the pine needles of this wreath along with the ribbon. What makes this one so dope to me is that you can choose as simple or as fancy of a ribbon as you’d like and have at it! 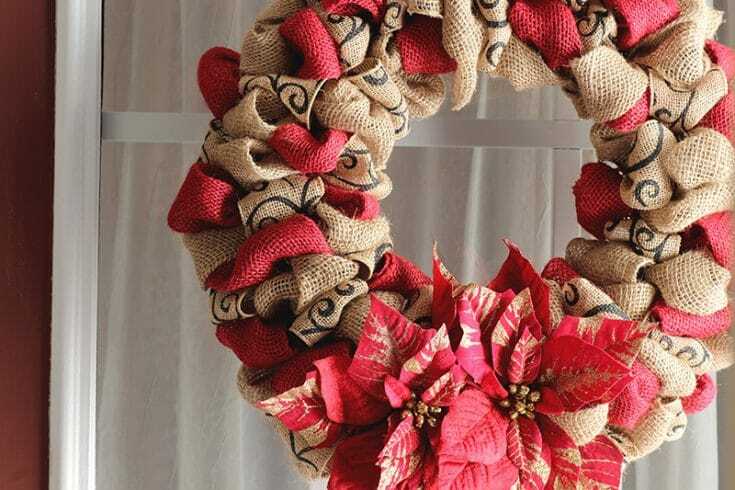 This wreath KILLS it in the simple yet elegant category. It is so simple and it being up against the wood wall like the one I did in my living room makes me love it even more! You may not have known this about me, but I have a love of plaid yall. And luckily it is circling back in style because I loved plaid even when my peers didn’t. It is soooo cozy and cute to me. This wreath gives me all the cozy vibes! Be sure to stay tuned for more Christmas decor over the next couple weeks. Tomorrow I'll be sharing a new project using wood, along with some of my other blogger friends and their wood worked creations! 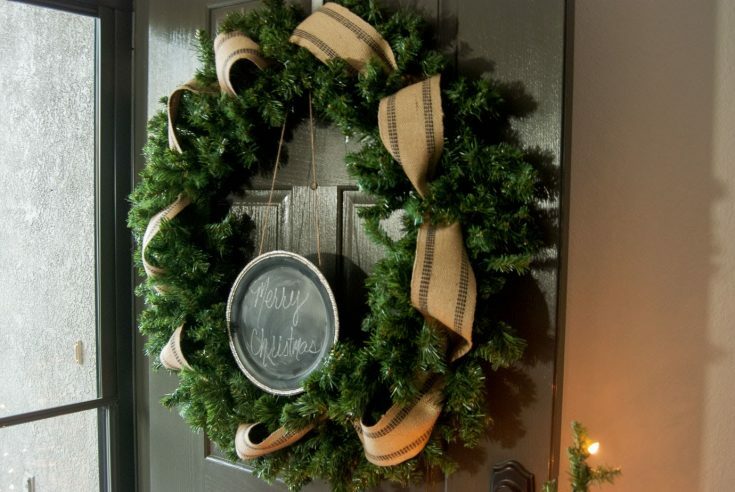 Interested in making a simple rustic wreath for the holidays? Pin using the buttons below to favorite board.